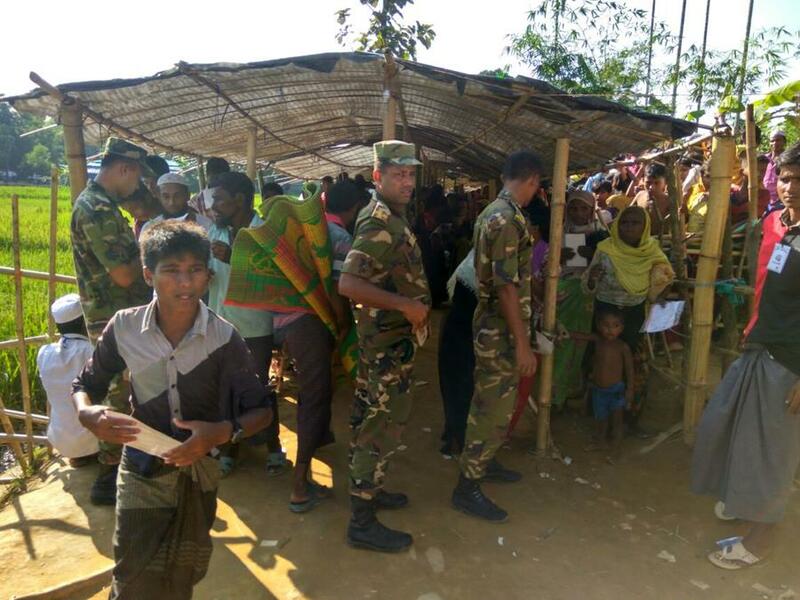 On September 20, 2017 FPO submitted an emergency relief aid letter of commitment to NGO Burea for FOOD Distribution, Water Well & Shelter for the Rohingya Refugees. 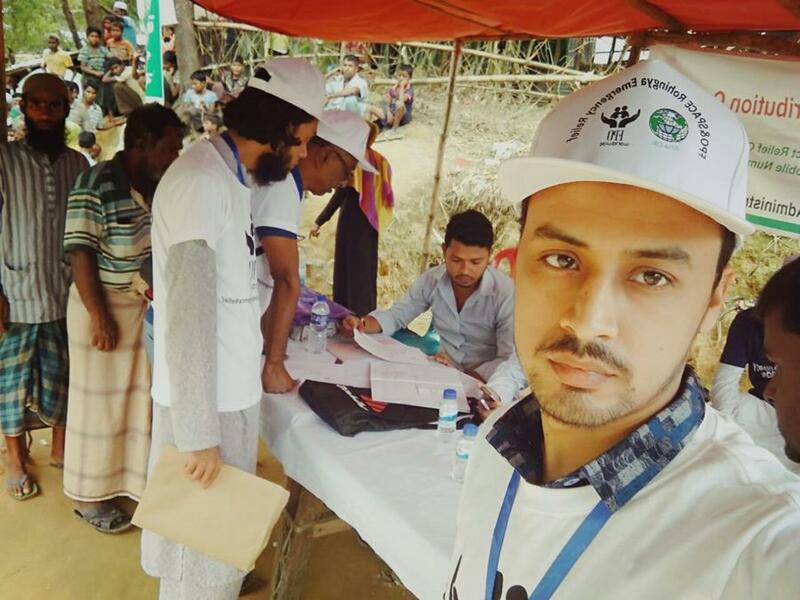 The NGO Bureau has a procedure set for any international organization to work amongs the Rohingyas a letter of committment must be submitted for approval, which we did on September 20, 2017. 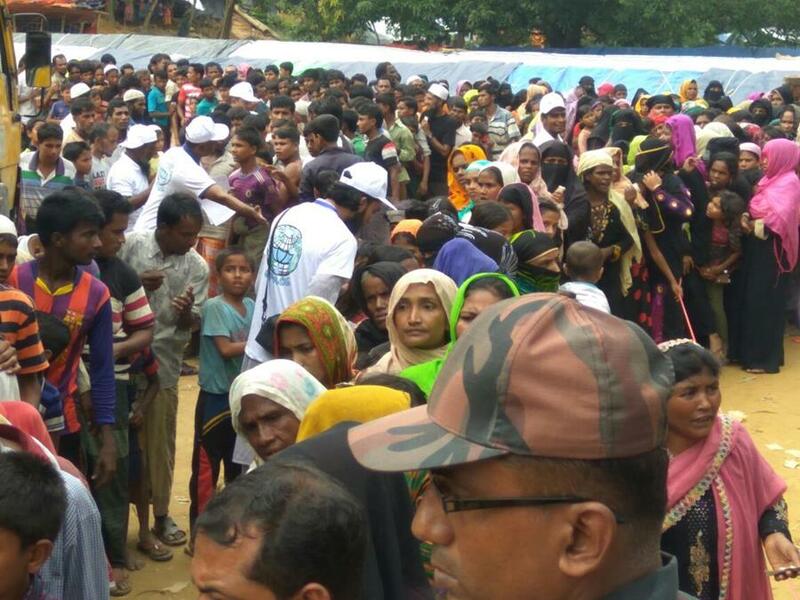 The delay in approval has left many of the Rohingyas waiting for FOOD Distribution. It took more than a month for the approval and Alhamdullilah we were approved to begin work on November 1, 2017. 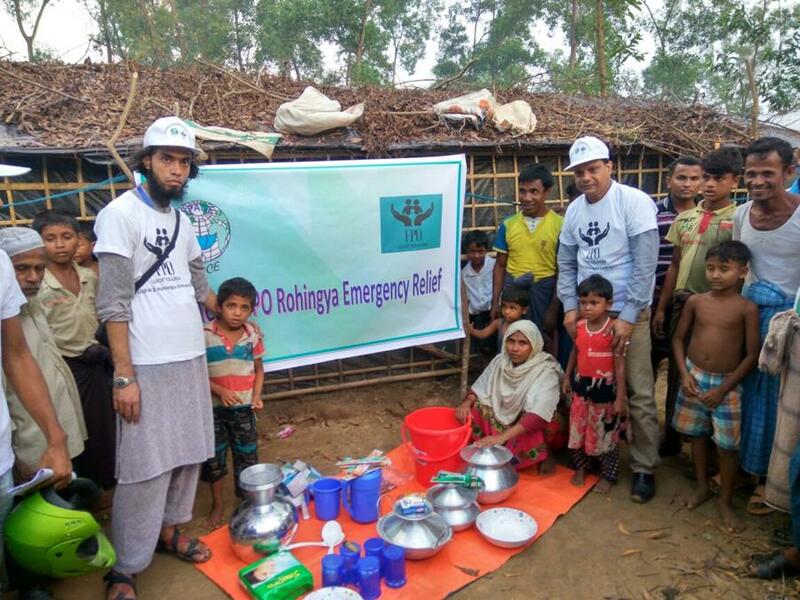 The NGO Burea has approved us for everything we requested except for food distribution & shelter as this is being done by bigger International Organizations such as World Food Bank, Unicef & Penny Appeal. However they have suggested for a distribution of a Family Household & Hygiene kit which was lacking among International & National organization distribution. 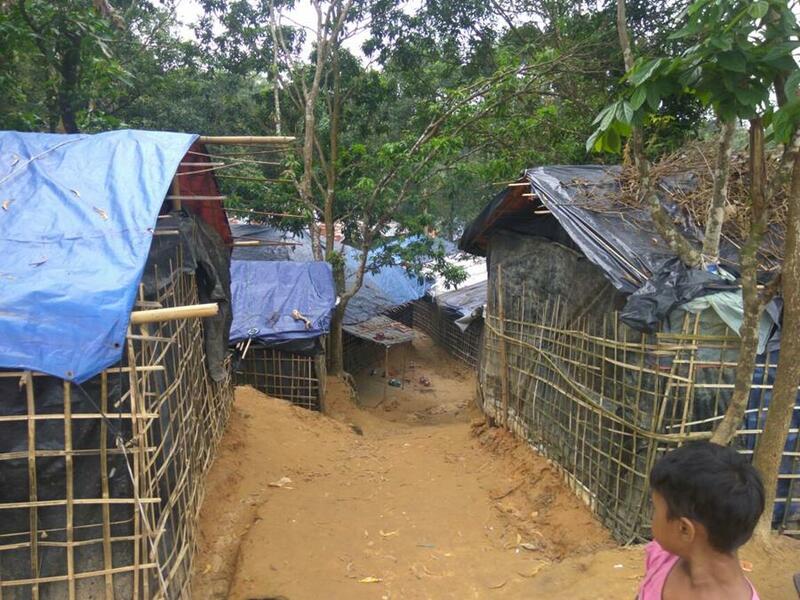 NGO Bureau of Bangladesh approved FPO's emergency relief, water well installations, sanitation infrastructure, hygiene & waste management programs and has assigned the Hakimpara Camp of Thyangkhali union of Ukhia Upazila for distribution. Hakimpara Camp houses 50,000 new families that arrived since the massacre attack on August 27, 2017. Our program began on November 1, 2017. 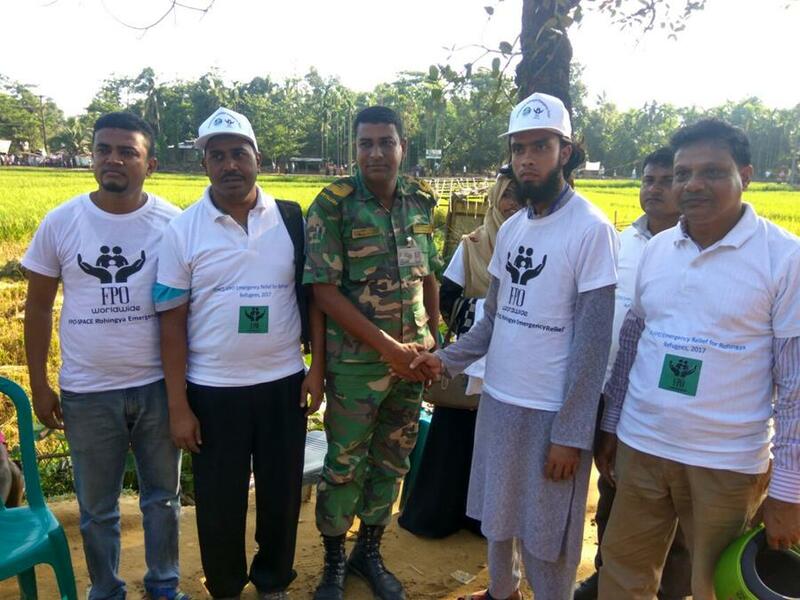 With your help & support Forgotten People Organization along with our local national ngo partner SPACE distributed the "FAMILY EMERGENCY RELIEF KIT" to 320 Rohingya families on November 1, 2017. 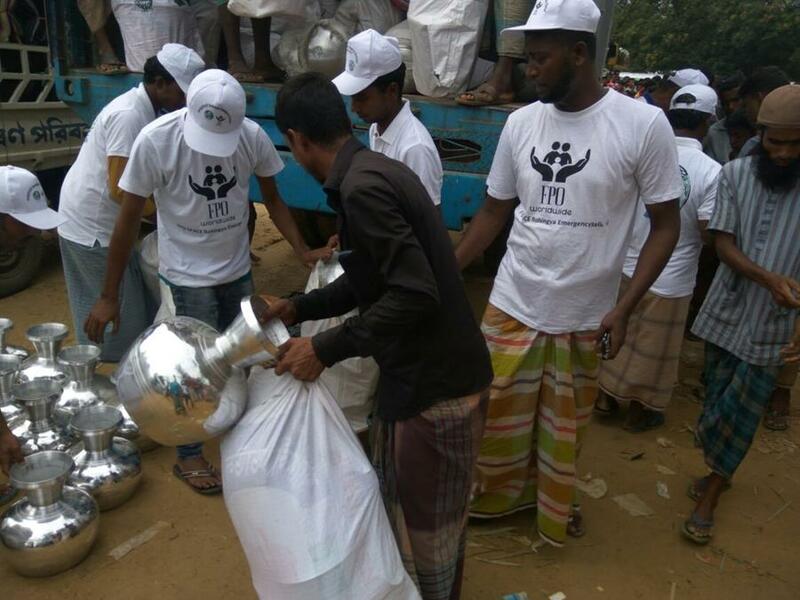 The kit consist of 32 items such as: Rice Dish (Silver), Carry Dish (Silver), Fry Pan (Zinc), Silver Water Pitcher (20 Litres), Water Jug, Plastic Bucket (18 Litres), Plastic Water Mugs, Serving Utensils, Eating Utensils, Gas Lighter, Soap Bars, Plastic Plates, Plastic Drinking Glasses, Cotton Towel, Women's Sanitary Pads, Family Size Toothpaste, Toothbrushes & Detergent. Below is a picture of a water well pump taken by our FPO Team which was not functioning properly due to topography & sectional constraints. 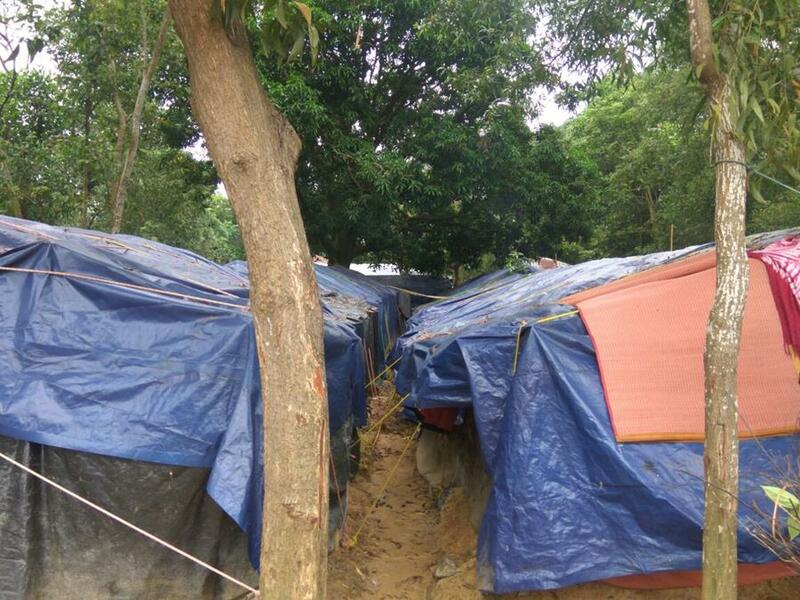 We will install water well options that will be appropriate for the hilly areas in this campsite with the guidance of the local DPHE (Department of Public Health Engineering) the lead government agency of Bangladesh for water, sanitation & hygiene programs. 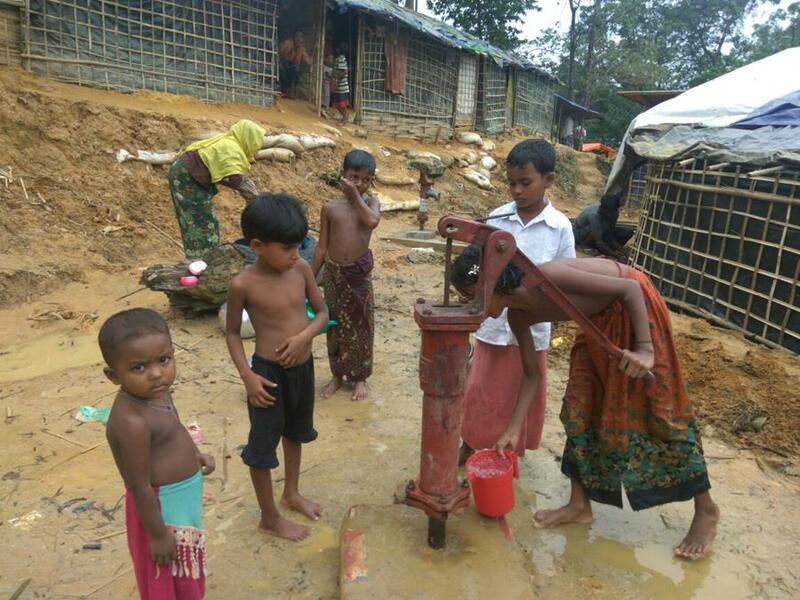 If you would like to donate a water well please click on the link below. 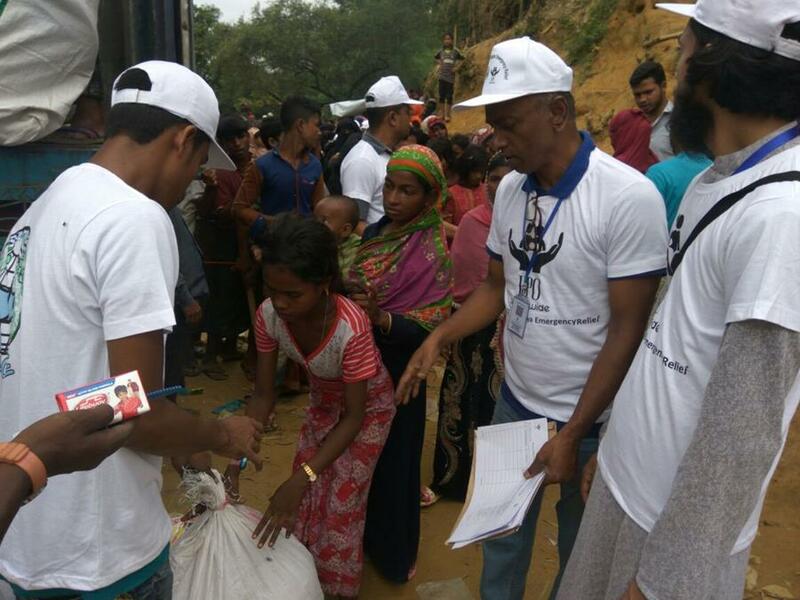 Alhamdullilah our clothing drive for the Rohingyas was a success. 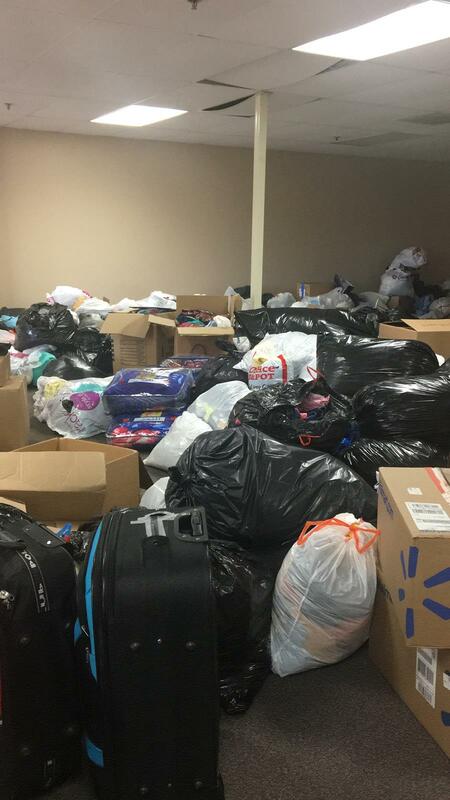 On Behalf of FPO we would like to thank all who donated their gently worn clothing, shoes, blankets & sheets. 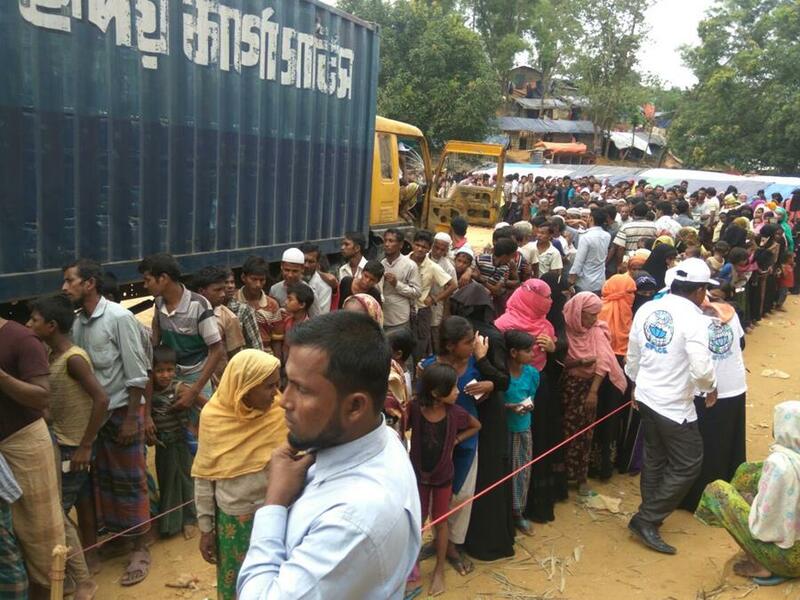 Our application for the container shipment through the NGO Bureau of Bangladesh is on its last stage of approval and In Shaa Allah hope to have papers signed by mid next week. 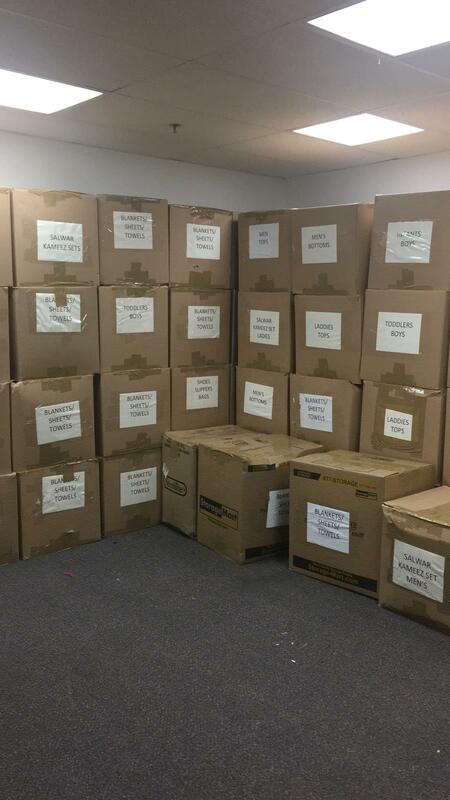 It's a long awaited process but in the meantime we are in the process of packing the 500 boxes for the container. Alhamdullillah we did not forecast the abundant donations we received in three weeks time and unfortunately reached the capacity of our 40' container. We do apologize for any inconvenience we may have caused anyone for any donations not accepted. We will be sending out a second container after the shipment & distribution of this first container. Please subscribe to FPO Newsletter for updates on events. 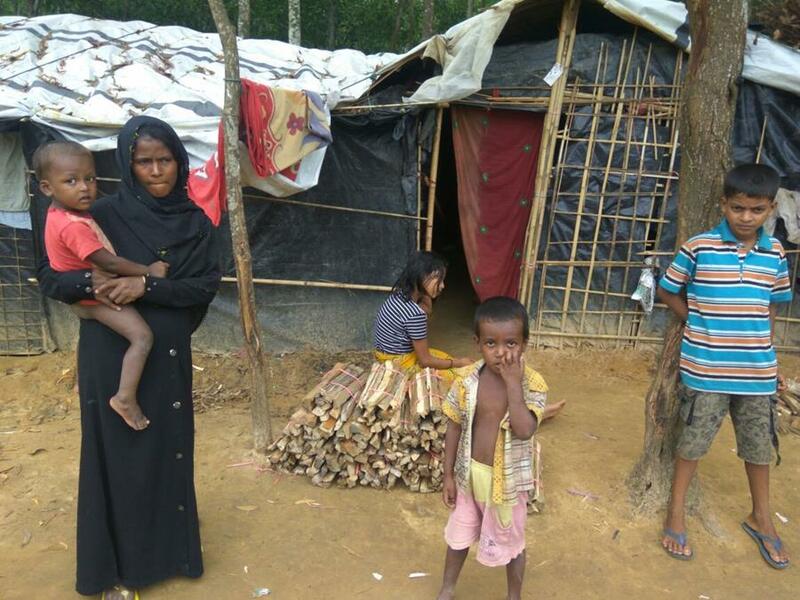 FPO's Executive Director, Aisha Hassan will be visiting Cox's Bazar In Shaa Allah on November 26, 2017 to locate & lease a warehouse in Ukhia Upazila for distribution of the upcoming container shipment of clothing donations. 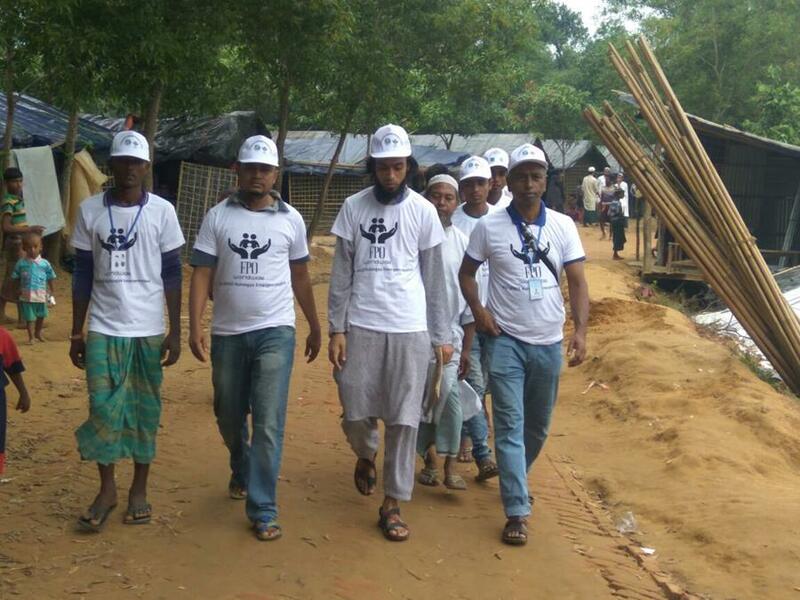 A system will be set up by having the Rohingyas choose the clothing of their choice rather than random distribution. 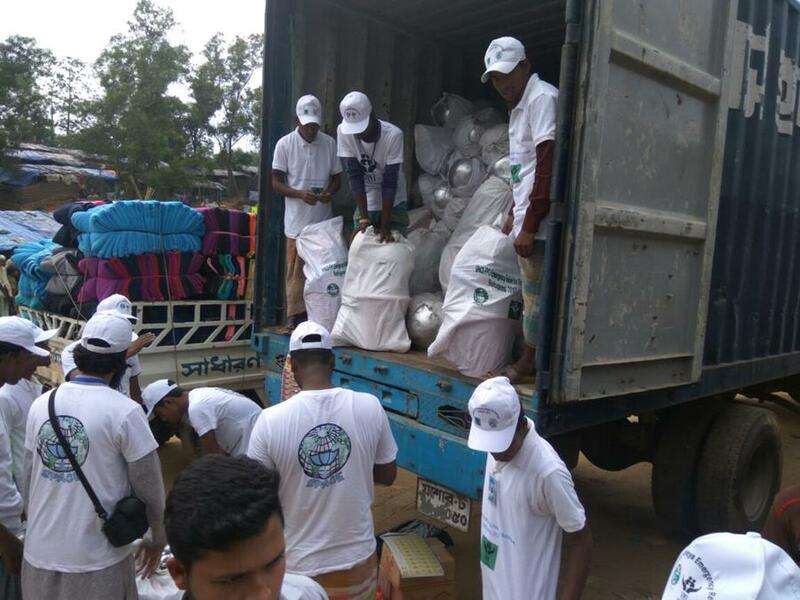 This distribution set up will minimize the wastage of unwanted clothing by the Rohingyas and at the same time monitor the type of clothing & items of their choice. Any clothing or items unwanted will be distributed among the Pakistani refugees at Adaam Jee Camp in Nayarangya where our current projects are being implemented. If you would like to support FPO's Container Shipment Program please click on the link below. According to Deccan Chronicle, an outbreak of diarrhea, cholera and pneomonia have been reported in the recent months. There are also high levels of severe malnutrition amongst the children refugees which exacerbates the risks associated with an outbreak of acute watery diarrhea and cholera. 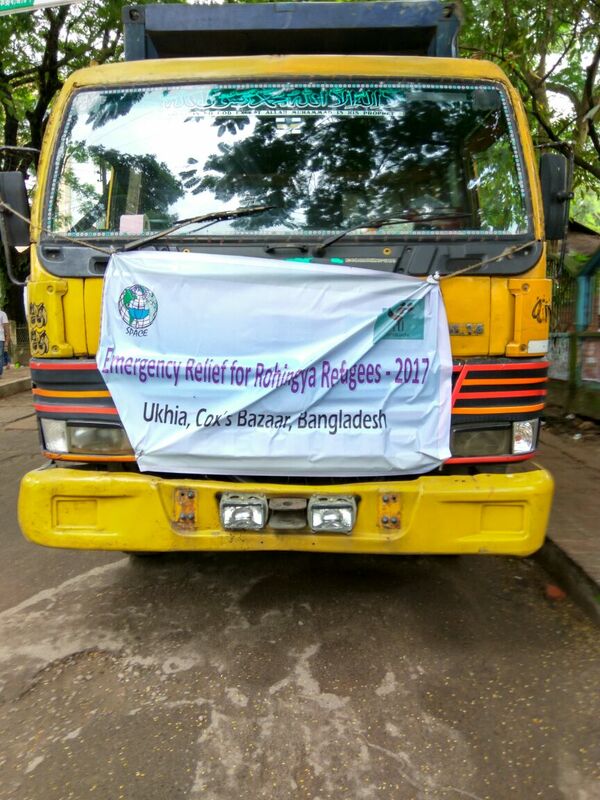 FPO's medical team headed by Dr. Syed R Akhter plans to visit Cox's Bazar during the first week of January, 2018 to set up a clinic (upon approval of NGO Burea & local administration) in Ukhia Upazila (In Shaa Allah) with all necessary medical equipments. Our plan is to work with local organization doctors, health officials & provide medical resources to continue this health program. 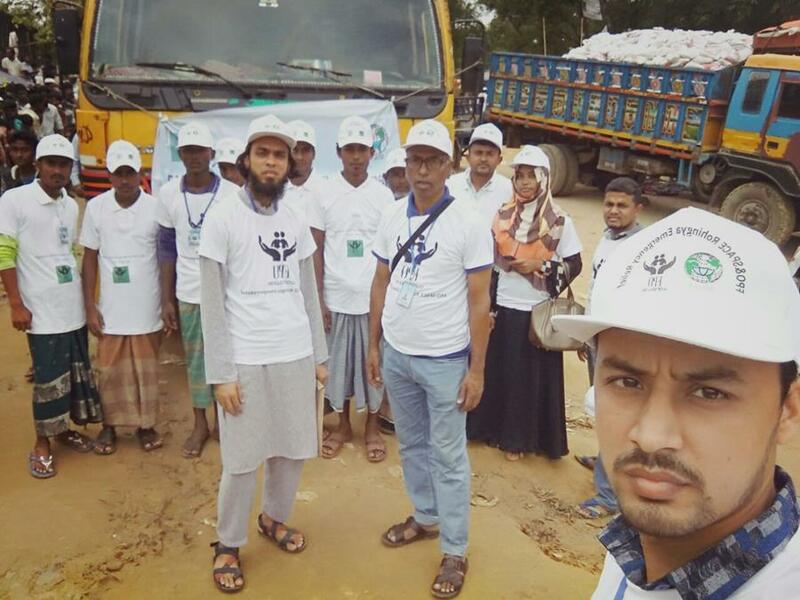 Our International Doctors along with local organization doctors will provide health relief aid to the Rohingya Refugees during their visit In Shaa Allah. In order to continue this health program and provide health relief to our muslim brothers & sisters we need your support. If you would like to support the program please "DONATE" by clicking on the link below. If you are a medical doctor or health official and would like to volunteer your time to join us, please contact Aisha Hassan (630) 272-2818 for details. "IF ANYONE SAVES A LIFE, IT SHALL BE AS THOUGH HE HAD SAVED THE LIVES OF ALL MANKIND"
You're receiving this email because you have expressed an interest in Forgotten People Organization (FPO). Don't forget to add aisha@fpoworldwide.org to your address book so we'll be sure to land in your inbox!.